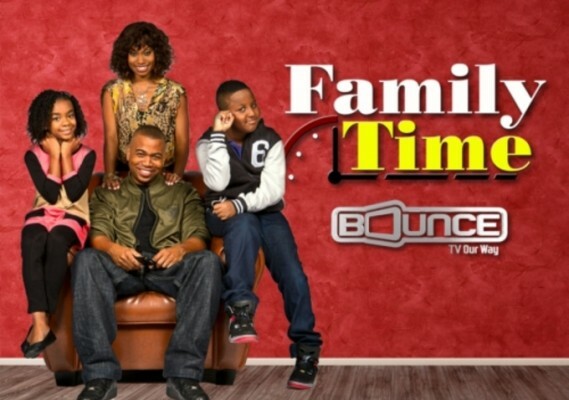 Bounce TV has renewed their original sitcom Family Time for a second season and stand up comedy show Off the Chain for a third season. They’ve also ordered two new scripted sitcoms — Mann & Wife and Sisters — for 2015. ATLANTA (May 5, 2014) – Bounce TV (www.bouncetv.com) — the nation’s first-ever and fastest-growing broadcast television network designed for African American audiences — today announced its original programming plans for the current upfront season as well as revealed massive ratings and viewership gains in Households and all key demographics across all dayparts since first beginning to receive Nielsen ratings one year ago this month. The network also announced the hiring of seasoned producer and show runner Ri-Karlo Handy as Vice President, Original Programming. ·	43% in Households, 25% in P18-49 and 28% in P25-54 in Primetime delivery. ·	48% in Households, 48% in P18-49 and 62% in P25-54 in Total Day. ·	Has posted quarter-over-quarter viewership growth for four consecutive quarters. ·	Saw its newest original series One Love reach nearly 1.1 million persons across its series premiere week runs to become the most-watched original in the network’s history. What do you think? Have you been watching the Bounce TV shows? Will you try the new ones? More about: Bounce TV TV shows: canceled or renewed?, Family Time, Family Time: canceled or renewed?, Mann & Wife, Mann & Wife: canceled or renewed?, Off the Chain, Off the Chain: canceled or renewed?, Sisters, Sisters: canceled or renewed?